AMIR K is currently on the cast of the MTV prank show JERKS WITH CAMERAS. Last year Amir made his foray into film with roles in Ben Affleck’s ARGO and Alexandre Aja’s SITE (for Fox) where he stars as the love interest opposite Ashley Hinshaw. In addition to acting Amir is an accomplished comedian who can often be seen headlining Los Angeles comedy venues such as The Comedy Store Laugh Factory and The Improv. 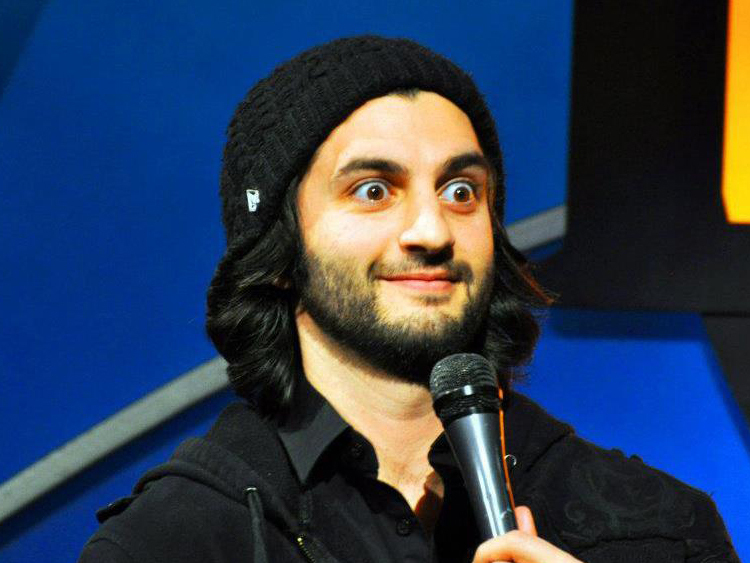 Born in Tehran Iran and raised in Southern California his comedy is a blend of character work storytelling and improvisation shaped by a multi-cultural upbringing. Amir is fluent in Farsi Spanish and is known for his incredible accents and impressions.